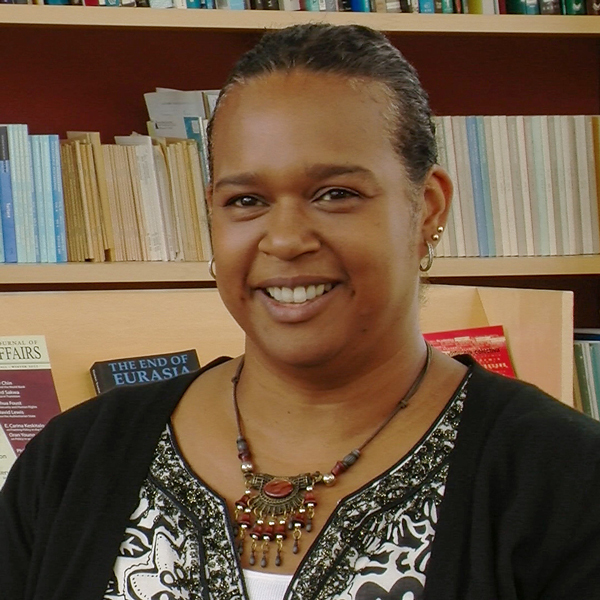 Françoise N. Hamlin (Ph.D. Yale University, 2004) is an Associate Professor of History and Africana Studies. She primarily teaches undergraduate and graduate courses in twentieth century U.S. history, African-American history, and southern history, as well as cultural and Africana Studies. In addition, she co-coordinates partnership activities between Brown and Tougaloo College (MS), such as an annual Civil Rights Spring Break trip for undergraduates. Prior to joining the faculty at Brown, Professor Hamlin was a DuBois-Mandela-Rodney fellow at the University of Michigan (2004-2005), and an Assistant Professor of History at the University of Massachusetts, Amherst (2005-2007). Since then, she has been a Charles Warren Center Fellow at Harvard University (2007-2008), and a Woodrow Wilson-Mellon Fellow (2010-2011). She is the author of Crossroads at Clarksdale: The Black Freedom Struggle in the Mississippi Delta After World War II (University of North Carolina Press, 2012) and co-editor of These Truly Are The Brave: An Anthology of African American Writings on War and Citizenship (University Press of Florida, 2015). Who were the enslaved people in the British North American colonies? How is racial inequality rooted in the founding of the United States? How did black Southerners resist Jim Crow? What was life like for black people in the South under Jim Crow? Why is it difficult to say when the civil rights movement began and ended? How has racism impacted how Americans think about identity? How did slavery change after U.S. independence from Britain? Why didn’t the Declaration of Independence extend rights to enslaved people? Why did colonists in the British North American colonies support the institution of slavery? What was life like for free blacks in the British North American colonies? What were the major accomplishments of the civil rights movement and what challenges remain? How did the civil rights movement change in the late 1960s? Was the federal government supportive of the civil rights movement? How did white Southerners resist black activism? How did the movement that arose in the 1960s differ from earlier black activism? What were the Brown vs. the Board of Education cases? Why was the murder of Emmett Till important? Why did black activism begin to be more successful in the 1950s? Whose interests did the U.S. Constitution reflect? Why did some enslaved people support different sides during the American Revolution?